For a chance to spoil your Mum this Mother’s Day, enter our competition to win a beautiful luxury gift hamper. Which of our hampers are up for grabs? We’re offering three different hampers as prizes this time. Click on the images below to see the contents in a bigger image. 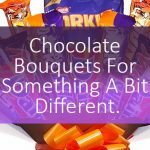 Perfect for chocaholic mums and if you’re very good she might even share these delicious chocolates with you. Luxury chocolates include Lindt Lindor cornet truffles and Buchanan’s Russian Caramels. Swoon. There’s even a sweet little teddy hitching along for the ride too. Check him and the rest of the hamper contents out here. 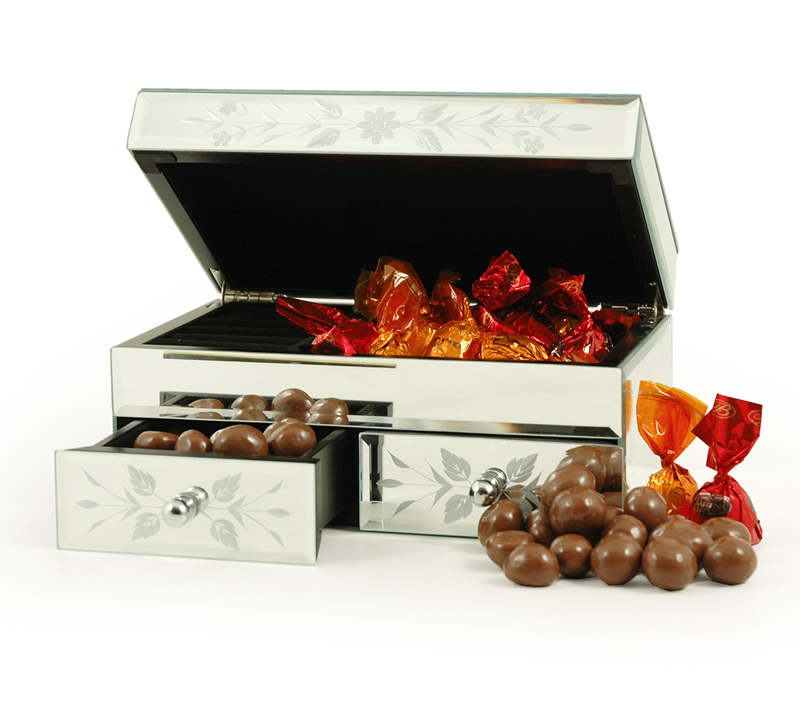 We love this stylish mirrored jewellery box, especially as it comes stuffed with delicious chocolates. Once the chocolates are all gone, your mum will have a beautiful memento to keep her treasures in. 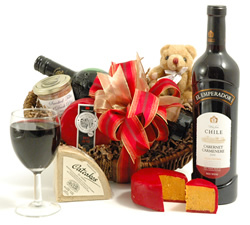 See the full description of this great Mother’s Day hamper here. Our Rich Plum Oval Bowl is full of pampering bath accessories including a wooden massager, a exfoliating sponge and four beautiful plum scented bath products including body lotion, bath salts, bubble bath and shower gel. Check out the full contents of this luxury bath & beauty hamper here. 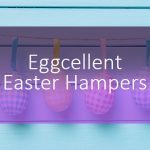 To enter the competition you just need to tell us why your Mum is such a gem, and which hamper you think she’d most enjoy from our selection, and why, using the Rafflecopter widget below. Good luck! Closing date is midday on Wednesday 11 March 2015. Three winners will be selected, one for each hamper! 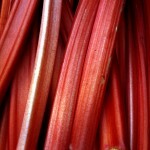 Next Article Share your Springtime Photos & Win a Luxury Easter Hamper! Wow it’s looking so nice gift for my parents. Thank you so much for share! All fab hampers but the Bath and Beauty Hamper would be a wonderful treat. After a long day working, looking after children and rescue animals, the house and garden and cooking dinner, she would definitely appreciate this lovely hamper. I think my Mum would like the Bath & Beauty hamper please. She is great because she just gets on with life without moaning and helps others. My Mum would love the bath and beauty hamper – Mum has suffered really badly with eczema since she was a small girl spending many months in hospital when she was little. As an adult it has always been bad but during a stressful time a year ago when my Dad suddenly passed away her skin is now free of eczema – completely crazy but she sees it as a farewell gift from Dad. She can now try different beauty products which she hasn’t been able to do before as they interfered with her skin and had to be really careful with what she used. She would love this and she more than deserves a special treat. My mum deserves the Chocolate Lovers hamper because she work so hard for all her four children and is always there for us. My mam`s the best in the world, she means the world to me and my kids, I see her everyday, she`s my BFF and I know she would love the Chocolate Lovers Hamper because she loves chocolate. I’d like to nominate my mother-inlaw to be. My parents have moved to France and since I’ve met my partner’s mum, she has been very welcoming and has become like a second mum. She is always there for me and it’s lovely to know that I have someone I can turn to if my parents aren’t available. would love the bath and beauty hamper for her as she is currently trying to lose weight!! My mum in law deserves to win because she has always been there for me since my mum died, through the good and bad times. She would love the chocolate hamper cos she’s a alcoholic! 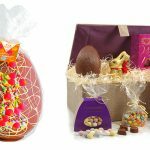 My mum would love the chocolate lovers hamper if course! She deserves a sweet treat to match her sweet personality, all mums are fab but mines extra special because she belongs to me! My Mum is an absolute star. She regularly travels almost 500 miles in a weekend to spend time with me and my 2 Daughters. She is in the process of helping me decorate their bedroom by lining curtains, and she will be up again to help paint the walls shortly. she puts everyone first and makes everyone laugh if they are having a bad day. She always says a laugh a day keeps the doctor away. I cant say or think of words except she is 80 years of being fabulous. My mum would love the Jewellery Box & Chocs Hamper. My mum deserves to win for all her quirky lil ways that make me so proud to have her as MY mum.. her raucous laugh, obsession with wearing bright purple, attempts at acting with the local theatre group, bad singing along to songs from the shows, failed cooking attempts (dont ask about the day she tried making toffee!) all of which make her incomparable! oh this would be a delightful wee treat for my long suffering mammy lol! My mum does so much for everyone else, but never takes time for herself. She deserves a treat, and she’d love the chocolate lover’s hamper! We have the same sweet tooth! She’s deserves to have a pamper! Running here and there providing for her flock! Thank you in a special way. My mother whilst growing up always put amazing food on our plates, the best food is from home grown and hand made with love, she is getting on in years but still love her food, she deserves the best anyone can give her ! And I intend to do just that. My mum has always supported me, even though I probably haven’t made life easy for her at times! She’s always supported me in whatever I have pursued, and whatever I haven’t, never trying to force me into something I don’t want or am not comfortable with! And the chocolate hamper because…chocolate. My mum would love the bath & beauty hamper, she has worked hard all her life and even though she is in poor health now she still puts her family first! My mum would love the chocolate lovers hamper because she loves chocolate and she’s always too busy doing things for others and never treats herself. My mum deserves to win because she is caring, lovable, fun, good hearted & she loves to dance with my 3 boys. that I was given a special mum who stands out from the rest. never loved me any less. her sound advice, always by my side. just as loving as she has been to me. I’d like to treat my mum to the bath hamper because is very kind hearted and always willing to help others. She likes to relax in the bath so I think she’d love it. My Mum would love the bath & beauty hamper (unfortunately she can’t eat chocolate!) and deserves a special pampering treat as she has always been there for me & my 2 kids come rain or shine! Because she’s always there for me so deserves something nice! She’d like the jewellery box and chocs hamper! My mom is amazing, she’s the glue to our family and you know you can always count on her her for anything, she’s awesome! I’d love to win the Bath & Beauty Hamper for my mum to thank her for always being there for me. I think my mum would like all three hampers but would probably plump for the Chocolate Lovers Hamper because she does have a sweet tooth. She deserves to win because she has to put up with a lot from the rest of the family! My Mum would love the bath and beauty hamper – she works full time still but always makes time for my children and myself. She’s always there for us all and is in fact just perfect. My Mum is special simply because she is caring and kind to everyone. She would love the Rich Plum Bath & Beauty Gift Hamper as she has recently had a new bathroom fitted and is enjoying pampering herself in there. For being my rock and my friend and for giving me the wings with which to fly. My mum deserves some pampering as she’s recently lost a lot of weight. She’d love the Bath & Beauty Hamper. My mum died when I was only 21 and I miss her every single day. I am a mother to a 25 year old daughter who just got married last year and I love her so much. I have also gained a son in law as I only had one child and couldn’t have any more children children. I am also a disabled wheelchair user and in terrible pain every moment of every day so I think I might deserve to win the chocolate hamper. My Mum would love the Bath & Beauty hamper. She’s great fun to be with. I was sad to leave her nest. But we always see each other. She’s a glass half full Mum. Her mood is never bleak. She’s Grandmother to my 2 lovely girls. They both love her to pieces. She feels exactly the same about them. And her love and care never ceases. Now she’s reached another stage. A Great Grandmother she’s become. And I’m a first time Grandmother. She was busily crocheting and knitting. In 2013 on the 9th of June we became 4 generations. And there’s now all the more family to love. And there were such joyous celebrations. We all fit just like a hand in a glove. My Mum did some magic mending for me this week so I have two revamped bits of clothing to put back into my wardrobe – she deserves this as another thank you – she’s a proper Sewing Bee. im one of 7 children and she treats us all like were her number one and always phones us everyday and drops everything when we need her. She has put up with me all these years! My mum would like to win the chocolate one. Maybe a ‘Jewellery Box and chocs’ can answer the above? My Mum would love a Bath & Beauty Hamper because she keeps on giving without expecting anything in return! She would love the bath and body one. She has always been there for me. My Mum is a fantastic woman and been the perfect role model for me. 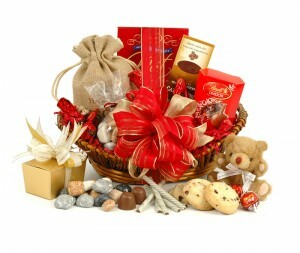 I’ve learned so much from her and would love to surprise her with the Chocolate hamper; I know she would love it. The bath & beauty hamper, my mum would love this treat she helps me out & looks after my kids when I go to work she’s the best mum in the world. For all her unconditional love and putting herself after everyone else. Knowing her she would prefer the Chocoholics hamper so that she could share it with others. 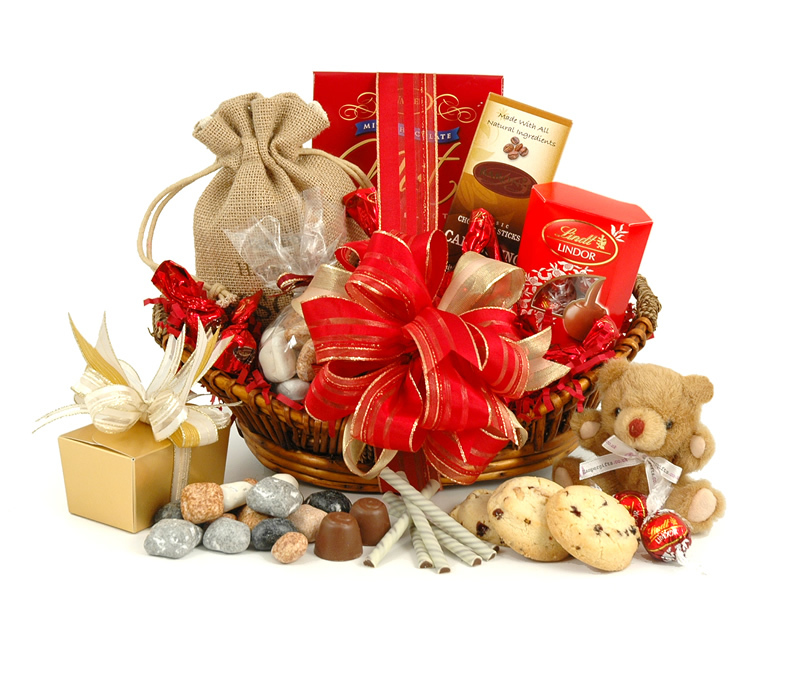 Would LOVE the Chocolate Lovers Hamper, please, it would be the perfect gift. The Bath & Beauty hamper would be great so she could pamper herself and relax as she is always thinking of others before herself. My Mum would really love the bath hamper. She’s in her 70s but so active and full of life. She run lots of fund-raising events in the village, like the annual fun ride, bridge drives, bowling dinner and she does flowers for the local church. Mum always put everyone else before herself, so for once I’d like her to come first. My mum deserves to win because shes the most selfless person I know! I think shed love the bath and beauty hamper! My mum is 89, and although she’s disabled, housebound and very frail, she still manages to live alone, enjoying her cats, her books and most of all her independence. And she still has a naughty sense of humour! But she’s not very good about eating – except when it comes to chocolate. So it would be the chocolate hamper all the way for her! My mum would love the Jewellery box hamper as she has far too much jewellery to know what to do with it. She deserves to win because she has looked after me selflessly following my pacemaker surgery. 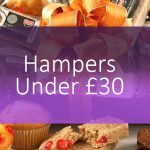 My mum has been poorly so I would love to treat her to a hamper, Fingers crossed. My mum would be absolutely thrilled with the Jewellery Box and Chocs Hamper as like her it is sweet and special. She would be thrilled to get any of these hampers they are lovely. It would be nice to treat her and if it was a Choccie hamper I would just have to help her out! Mum is knocking 80, suffering from both Alzheimers and Vascular dementia and is still there for me and her friends. A truly lovely lady who deserves to be pampered. Because she works very hard as a nurse for the terminally ill, a second job as a nurse in a nursing home, she comes home, cooks, cleans, never complains. Always thinking of others and knitting for people and even manages to de ice my car in the mornings, I couldn’t of asked for a better mum. I would love this for our Daughter, a new Mum to our little Grandson, she is doing a wonderful job! 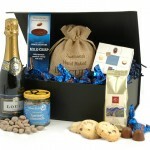 The Chocolate Lovers hamper would be ideal, because everyone loves chocolate, especially my mum! Hamper 2 – my mum is a wonderful person and deserves both chocolate and jewels. Somewhere to store all those lovely gifts she truly deserves would be perfect. She has such an enthusiasm for life and is an example to us all. She would be over the moon to win the chocolate lovers hamper so that she could share it with me! I would love to win the Chocolate Lover’s hamper for my mum, she so rarely treats herself and yet she deserves to more than anyone else I can think of. She’s always been so supportive, but I don’t think I really appreciated just how much she’s done (and continues to do) for our family until I became a mum myself very recently. Wow- now I don’t just love my mum- I’m in awe! Just hope I can live up to her example for my little one. Because when my partner split up with me late last year and I turned up at her house, late at night, she just made me a cup of tea and cleared the spare room, without questioning or judging, wonderful mum! i think my mum would most like the Prize 2: Jewellery Box & Chocs Hamper. She loves necklaces and earrings, and is forever loosing them in her drawer! my mum would love the Rich plum bath and beauty hamper because she is a star! Shes on her own after my step dad walked out on her and shes done a fab job of looking after us 5 kids without ever moaning about herself. She has recently had to sell the family home and move into a place we have been doing up. The tub this hamper comes in would be so perfect for the bathroom because it totally suits the rustic style we have going on. I want her to know we think about her all the time and that its ok to have some down time and relax without having to always be on mummy duty! My mum would love the Bath & Beauty Hamper – she works really hard as a Teaching Assistant, often taking over the teaching itself with no extra pay, and deserves some pampering! my mum deserves a special treat for being the best grandmother ever! The Chocolate Lovers Hamper. Looks delicious! My mum works away 5 days a week and then spends one day per week at a home visiting my brother, yet she still has the time to text me everyday and put a smile on my face and help me with anything I need, so I would love to treat her to the bath and beauty hamper so she could unwind and de-stress. The chocolate lovers hamper would be perfect! be a nice pressie from my daughter to her mam. My mother would love the jewellery box hamper – she has so many pieces of costume jewellery kept in a little cardboard box in her bedside drawer. I think she would love that because it would look lovely on her bedside cabinet and maybe it would make her think about treating herself instead of everyone else! My mum deserves to win because she’s attractive, clever, supportive and inspirational – the perfect mum, in my opinion! I think she’d like Prize 3 because she never gets much time to relax and pamper herself. Because she is the best mum in the world – always there to help the family in any way she can. I’d love it if my mum won the bath and beauty hamper! Not only is she a great mum, but a lovely and caring grandma too. We just wished she lived nearer so that we could tell her how much we love her more often! my mum deserves to win because she is always buying me treats even though she hasn’t got much money and is always putting me first! How gorgeous are all of these my mother in law would love any of them! 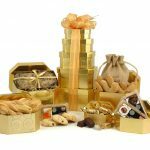 The jewellery box and chocs hamper would be ideal for her, as she has always been supportive and is great fun. She is so special, over the years she has helped out with my son so I could work, lots of advice and helped me out, words can’t say thank you enough, I think if we was lucky enough to win she would like the jewellery box and chocs please. My mum would love the Chocolate Lovers Hamper. She deserves it because she’s kind, funny, patient, understanding, completely selfless and everything I aspire to be! My mum deserves to win because she is always taking care of other people. She would love the chocolate lovers hamper! My Mum deserves the bath and beauty hamper as she has always been such a wonderful Mum and Granny. My mum deserves to win the Bath & Beauty Hamper because she helps me and my three siblings out with her 16 grandchildren all aged under 12! She is 65, suffers from diabetes and arthritis but always does what she can! My mum would love the beauty hamper, she deserves a treat because she is so busy all of the time. My Mother deserves to win as I think my Mother is a Winner & deserves a Hamper, because she put up with the most awkward, naughty, cheeky, inquisitive child ever – me! That, plus my 3 siblings too! My father fell 40ft when we were all under 10 years old, so she looked after him in his wheelchair too. She persevered even when times were hard and encouraged us to understand and respect authority whilst still maintaining our individuality. Nothing compares to your mother instilling confidence in yourself so she deserves a treat! Did I mention that she is a fantastic cook? Theres true magic there, making tasty healthy meals on a limited budget! All her children were winners in her eyes and she is the Number 1 Winner in ours! She would love the Chocolate Lovers Hamper as she never treats herself – and she would never tell you that herself! My Mum has been wonderful over the last few months even though she has been unwell herself, she would love the Chocolate Lovers Hamper because she has a sweet tooth and a soft spot for teddy bears. My mum deserves the choc lovers hamper as she’s had to put up with me all her life. Poor her! Just because she is my mum and the chocolate lovers hamper as she has a sweet tooth like me! my mum would love the rich plum and beauty hamper no big detailed story she is just…….well amazing! Mum had a rough time brining us up but she embedded values in us and we turned out well, which is credit to my mum. Shes there for me to help pick up the pieces even though Im 40 something now. Would love to win the Jewellery Box & Chocs Hamper, she loves fine jewells and this would be perfect oh and never says no to chocolate. The jewellery box and chocs please for my mother. She has a very outdated jewellery box and would never think to treat herself to a new one. Every mother deserves a treat on mother’s day! My mum really deserves a special treat. We had a miserable Christmas as my father was very ill. Sadly he died in January. Mum is 82 years old, partially sighted and housebound and is feeling very lonely, so she would love the chocolate lovers hamper with the little teddy bear to give her cuddles. because she’s kind, caring, considerate and turning 80 this year full of zest for life. She would really like the Bath & Beauty Hamper because she enjoys pampering herself.